The Doobie Brothers, known for their fusion of rock and blue-eyed soul, play the Peoria Civic Center Theater on Tuesday, April 16 at 7:30 pm. Tickets for the Peoria show go on sale Friday, January 18 at 10:00 am. 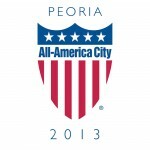 Tickets ranging from $29.50 to $149.50, can be purchased on www.ticketmaster.com or in-person at the Toyota Box Office, located inside the Peoria Civic Center.